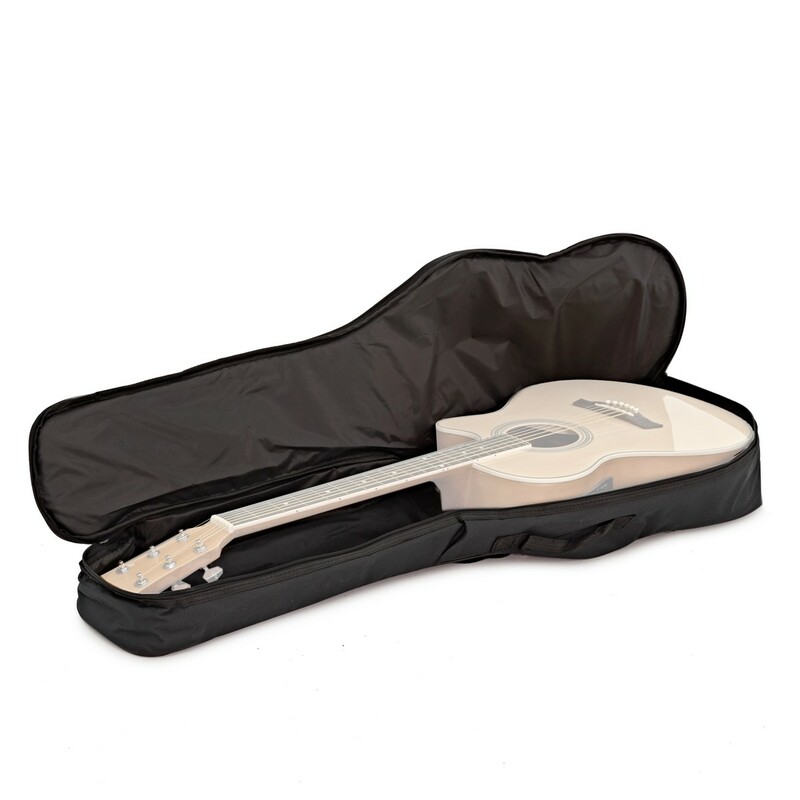 The Padded Acoustic Guitar Gig Bag by Gear4music is a high quality universal gig bag that will provide excellent protection for your instrument. With a front accessory pocket, adjustable shoulder strap and carry handle, this is an ideal choice for musicians who are looking to keep their guitar safe whilst on the move. 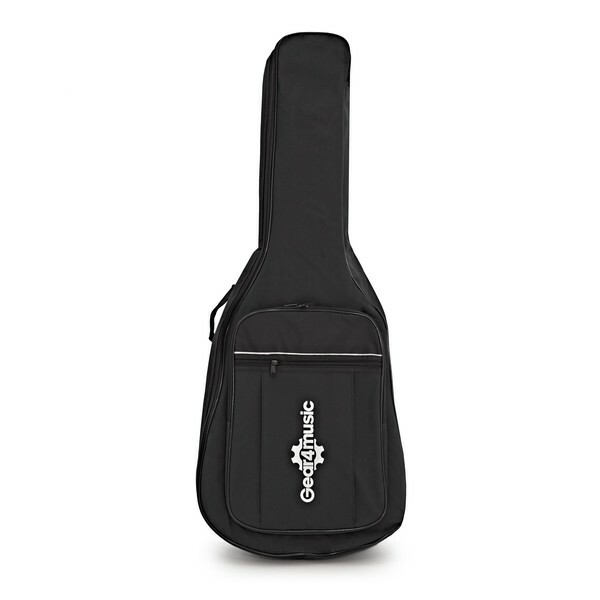 Ideal for all standard Acoustic Guitars the Gear4music gigbag features an adjustable shoulder strap and carry handle for easy transportation. 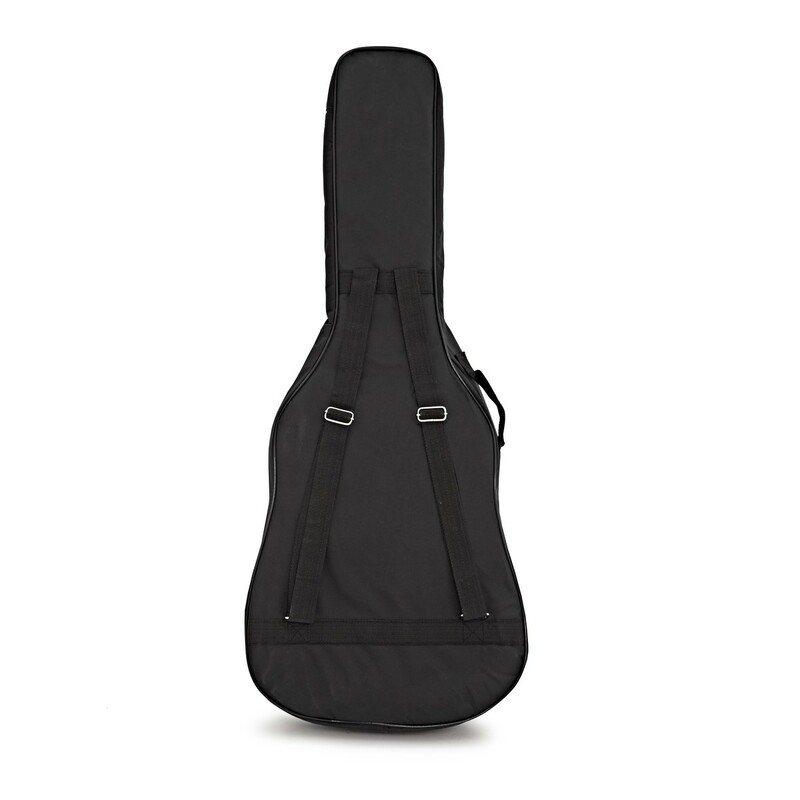 Perfect for those on the go, this guitar bag provides a safe and secure option for travel to gigs, lessons or practices. Including a front pocket for storing any extra accessories, this durable guitar bag is the ideal choice for those seeking functional simplicity at a great price. Please note: item may vary slightly from image shown.